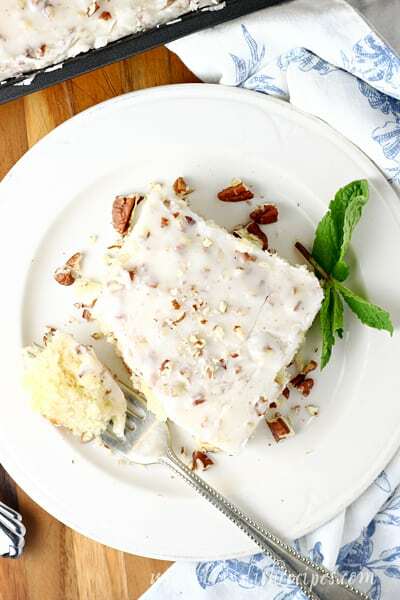 WHITE TEXAS SHEET CAKE — This variation on the classic sheet cake recipes features a moist white cake topped off with a delicious pecan studded frosting with a hint of almond extract. If you’ve ever been to a potluck, chances are you’ve had a slice of Texas sheet cake–the chocolate version that is. 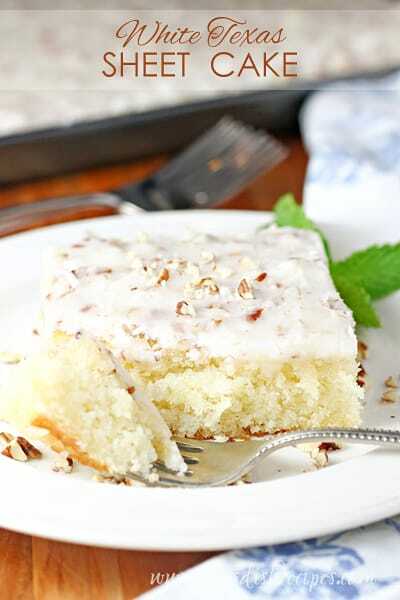 Well, if you thought that was good, you’re going to love this White Texas Sheet Cake even more! 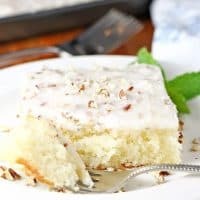 This white cake version of the classic potluck dessert is just as delicious (and large) as the original, with a pecan studded frosting. But the star of the show here is the addition of almond extract. 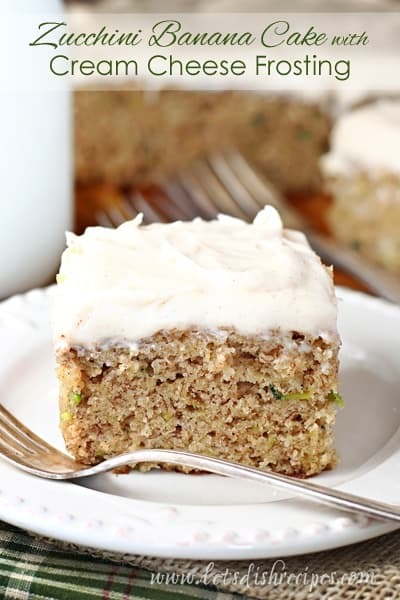 It gives this super moist white cake a wonderful, unique flavor that is sure to be a hit anywhere it’s served. And in classic sheet cake style, this dessert does serve a crowd. Which makes it perfect for any party, get together or celebration. I fed this cake to my son’s robotics team (think 20 hungry teenagers) and it disappeared in a matter of minutes. And with it’s wonderful texture and flavor, it has become my go to dessert any time I’m feeding large numbers. Even better, this cake only improves when it’s made the day before, so if you’re planning a party, you can cross dessert off your to do list ahead of time. Don’t get me wrong, I love chocolate. But I honestly liked this White Texas Sheet Cake even more than the chocolate original. 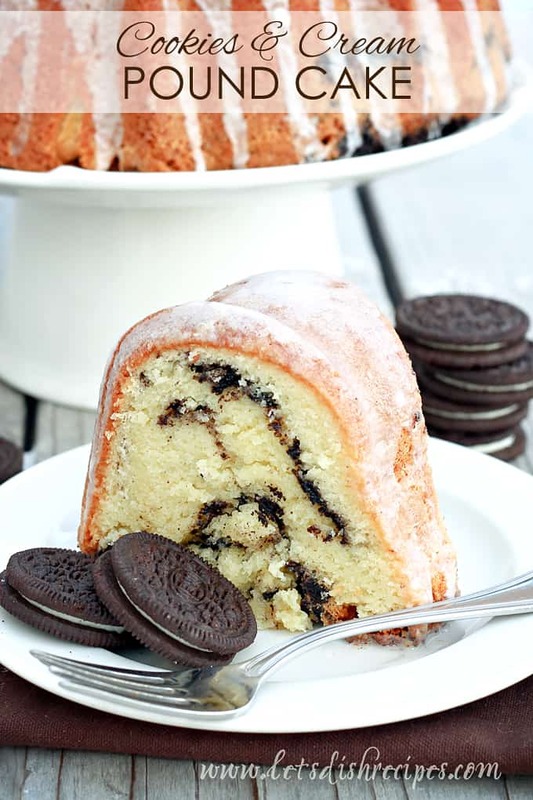 So if you’re in the mood for something a little different, you’ll definitely want to give this cake a try. And don’t be surprised when you get lots of requests for the recipe. Enjoy! 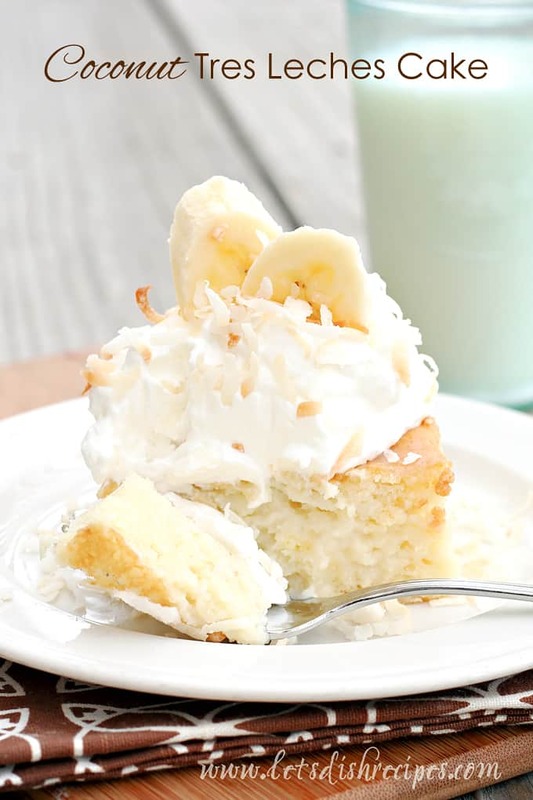 Be sure to save this White Texas Sheet Cake recipe to your favorite Pinterest board for later. Preheat oven to 375 degrees. Grease a 10x15 inch baking pan. In a large saucepan, bring 1 cup butter and water to a boil. Remove from heat and stir in flour, sugar, eggs, sour cream, 1 teaspoon almond extract, vanilla, salt, and baking soda until smooth. Pour batter into prepared pan. Bake for 20 to 22 minutes, or until cake is golden brown and a toothpick inserted in the center comes out clean. Cool for 15-20 minutes. Meanwhile, make the frosting by combining 1/2 cup butter and milk in a saucepan. Bring to a boil. Remove from heat and mix in sugar, 1/2 teaspoon almond extract and salt. Stir in pecans. Spread frosting over slightly warm cake.